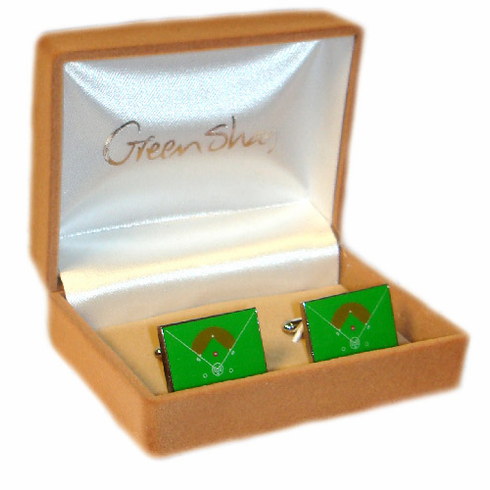 These green baseball diamond cufflinks are exactly what the baseball executive in your life is looking for! Unique design for the unique fan. Stainless steel back, colored enamel image of baseball diamond on the front.